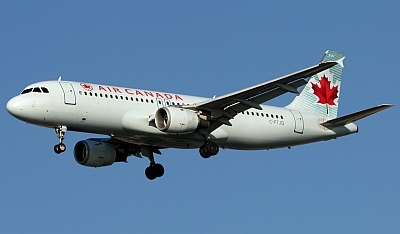 Doug Morris, an A320 captain for Air Canada, joins as this week’s guest to talk aviation. Doug is also a certified meteorologist and he writes aviation and weather articles for enRoute magazine other publications. He also blogs at From the Flight Deck and is author of the book From the Flight Deck: Plane Talk and Sky Science. David Vanderhoof has his This Week in Aviation segment, and we have the Airplane Geeks Australia Desk report, still without Steve Visscher who remains under the weather. But Grant McHerron comes through, with a little help from a suprise contributor to the Report. Air Canada A320 photo courtesy NYCAviation.com. This entry was posted in Episodes and tagged Airline Fees, EADS, Sun Country, Tanker, Transport Canada, Virgin America on March 23, 2010 by maxflight. I really enjoyed listening to your guest Doug this week, and you should consider Benet as a future co-host. That said, I take issue with David’s theory (backed by Doug) that the issue behind the “fewer accidents, more fatal” for glass cockpit GA aircraft is the fact that, to paraphrase David, “steam gauge a/c are flown by less experienced VFR pilots while glass cockpits are flown by more experienced pilots in IFR conditions and more perilous situations”. Rather, I believe the dividing factor between steam gauges and glass cockpits in GA aircraft is simply the issue of age of the aircraft. In the last few years I have flown hundreds of hours in steam gauge King Airs of early 80’s vintage. On the other hand, I have a hundred hour friend with a Cessna 182 carrying the full Garmin 1000 package. These days, even the 172s come so equipped. 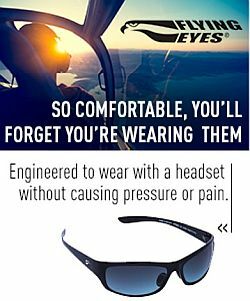 The installed avionics in the GA world will generally the newness of the aircraft …. an nothing about the credentials or experience of the pilot in the left seat. Although it was done on the 121 level, I participated in a NASA study on this very subject: steam gauge vs. glass while I was a brand new captain on the DC9. Volunteer crews at my airline were given identical LOFT (line oriented flight training) scenarios with every instrument maneuver imaginable: procedure turn non-precision approaches; VOR / VOR intersection holding; lost comm in holding leading to a timed approach; etc. Half the crews flew in DC9 sims, and the other half in MD88s (essentially, a DC9 with glass). NASA monitors recorded errors for both groups. The results were clear …. the round dial crews had fewer errors by far. NASA’s conclusion was that managing the glass …. no small task in the scenario described …. was a distraction for the crews as they attempted to comply with complex instructions. Programming a VOR / VOR intersection hold into an FMS requires far more attention than dialing the frequencies and radials into two CDIs. A glass cockpit crew’s situational awareness is generally limited to what they see on the moving map, while the round dial crew is tracking themselves on the paper chart all the way. Makes a big difference when a deviation from the original clearance is required. I would tie this into the statistic you were discussing by concluding that the glass pilots have fewer overall accidents because, as long as the flight goes according to plan, the FMS computer will handle everything with far less crew workload. But when things go completely to pot, the glass cockpit pilot is more vulnerable to a catastrophic result as he is more likely to lose the bubble. That’s my theory. Two small points for Doug. Delta flight 191, which had the windshear accident in DFW in 1985, was an L1011, not a DC10. It wasn’t the first big accident blamed on windshear. I believe that dubious honor belonged to Pan Am 759 on takeoff from MSY in 1982. All aboard perished. As far as I know, it was the first US airline accident in which pilot error was not cited as the primary cause. With no windshear warning system in those days, it was determined that the 727 simply could not out climb the downdrafts encountered. Delta 191 certainly did raise the issue to a new level of consciousness in the industry.